According to the Met office, it’s the driest start to Summer since records began; Britain received average rainfall of 47mm from the beginning of June until the middle of July. That’s twelve times more rain in six-and-a-half weeks than Al Kufrah, in Libya, receives in an entire year. There they grow delicious peaches, dates and apricots, swelled by water from underground springs which is used with judicious ingenuity by the local residents. They probably even use it for irrigating their local racecourse. At Ica, in Peru, they receive a comparative downpour of 2.29mm per year – less than 5% of the amount we’ve received so far this Summer. We know that people have been living there for thousands of years because the air is so dry that their bodies don’t decompose, creating a community of mummified corpses including, apparently, a 4ft penguin (which demonstrates that there must have been plenty of water once). And these aren’t even the driest places on Earth. That award goes to the dry valleys of Antartica – although admittedly there aren’t too many people who choose to live there and if there are any racecourses, their race programmes aren’t published in The Racing Post. When the weather gets hot in Britain, people get hot under the collar. 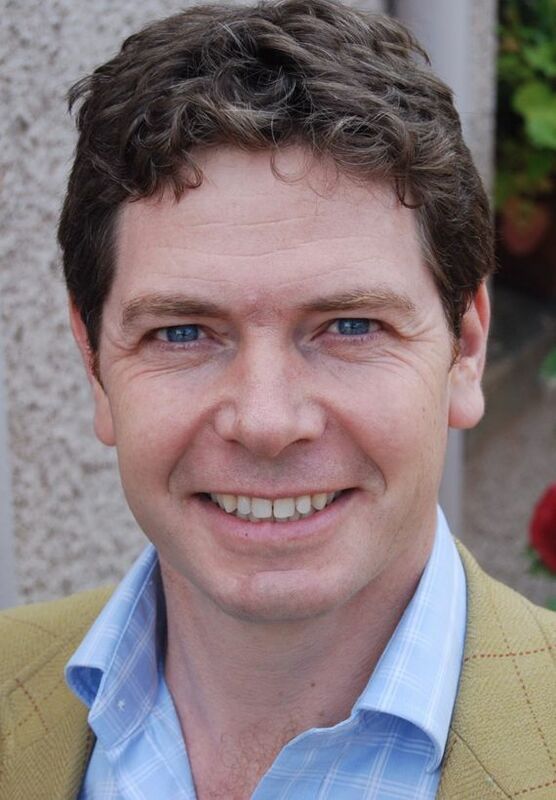 News that United Utilities are planning to conserve between 50 and 100 million litres of water per day, by imposing a hosepipe ban in the north-west of England, has not been received particularly well. Especially by those that have noticed that the company is already losing 453 million litres of water per day through leakage in its pipeline. Members of the public have been encouraged to spy on their neighbours and report them if they see anyone using a hosepipe – for which a £1,000 penalty could be issued. So it is no surprise that some people have watched the sprinklers being turned on at their local racecourse and pointed an accusing finger. 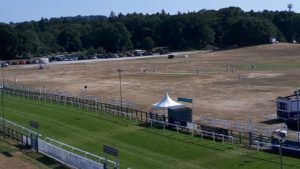 The effective use of water resources has long been a priority for racecourses, even when the weather isn’t as fine as it has been this Summer. Irrigation is vital, not just to ensure that the turf remains healthy, but also to provide a safe surface for horses. The Environment Agency recognises that equine welfare is important too, which is why racecourses are granted exemption from the hosepipe bans. At Cartmel, where the selection this Saturday is Volcanic in the William Hill Cumbria Crystal Cup, the ground-staff team have been working strenuously to ensure that the ground is safe and that water is used appropriately. The racecourse has a licence to extract water from the River Eea, as long as flow rates stay above a level specified by the Environment Agency. And not only does Head Groundsman Gary Sharp monitor the flow rate of the river every day, he also manages his resources so that the track can be irrigated from the river when the flow rate is high, or transfer to the course’s own store of water, held in a reservoir, when the river level drops. Happily it’s been raining at Cartmel on Friday. I’ll be visiting on Saturday when the forecast is dry again. With all this fine weather, I’m hoping that Gary may have produced some fine peaches, dates and apricots – as well as providing a great racing surface.